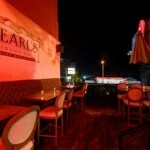 LORE Group, the team behind the West Hollywood hotspot Rock & Reilly’s Irish Rock Pub, brings a unique entertaining experience with their second Los Angeles venture, Pearl’s Liquor Bar. 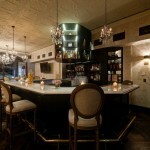 Situated at 8909 West Sunset Boulevard in the former Duke’s location, the 4,000 sq. 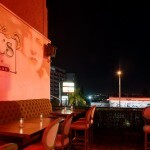 ft. tri-level venue with an open-air patio serves lunch, dinner and late night menus daily, and brunch on the weekends. 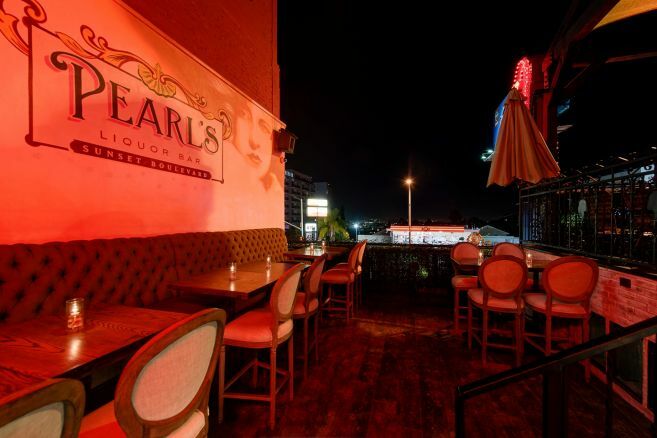 Pearl’s provides an unparalleled scene that hearkens back to the golden age of the Sunset Strip coupled with a strong emphasis on the importance of sophisticated hospitality, undoubtedly positioning the venue as a premiere neighborhood destination. From the glitz of the crystal chandeliers to the glam of the neon sign illuminating the Sunset Strip, Pearl’s captures the mystique of the Prohibition-era with a feminine touch. Modeled after a 1920’s perfumery and jewelry store, glass encasements displaying necklaces adorned with pearls align the entryway while opposing windows open out onto the Sunset Boulevard. 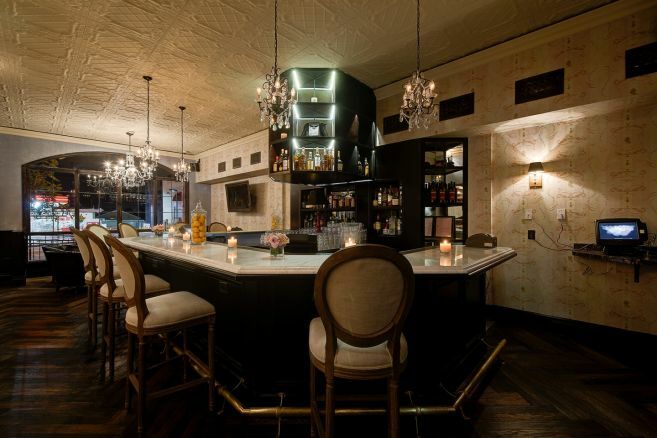 The 58-seated first level is accented with reclaimed herringbone floors, exposed white brick, black leather booths with button accents and a ceiling embellished by ornate light fixtures, setting the stage for the main attraction: a grand U-shaped bar draped with dark wood paneling and marble countertops. 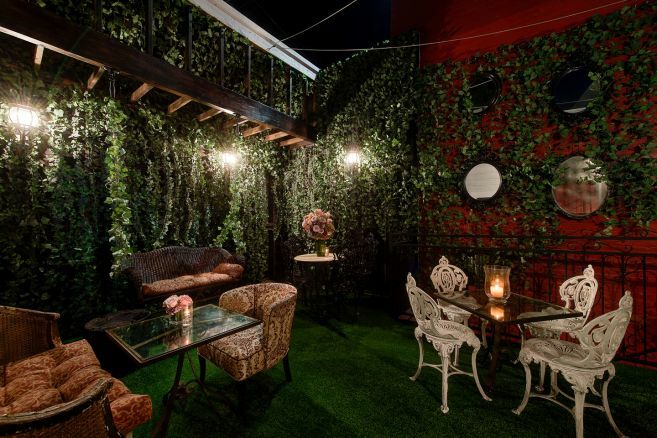 A clandestine staircase leads to the mezzanine “secret garden” and open-air patio, creating a magical dining affair unlike any other on the Sunset Strip. The front decks seat 78 and boast a coveted view, an outdoor fireplace and two bars, making it the perfect location for al fresco dining or private events. 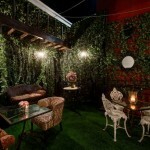 Loading space is available in front or behind the restaurant. Valet and street parking is available.